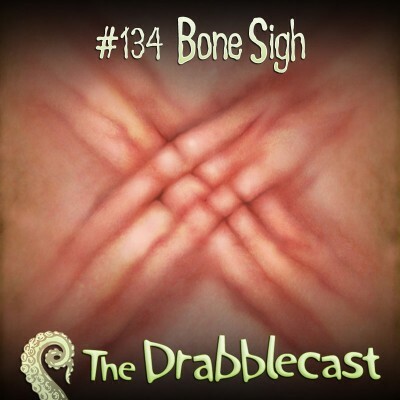 This week The Drabblecast brings you “Bone Sigh,” by legendary author Tim Pratt! But first we bring you the continuing adventures of cryptozoologist Connor Choadsworth: In Search of the Mongolian Death Worm: Part Three. Tim Pratt has written multiple stories for the Drabblecast and this one is quite horrific. 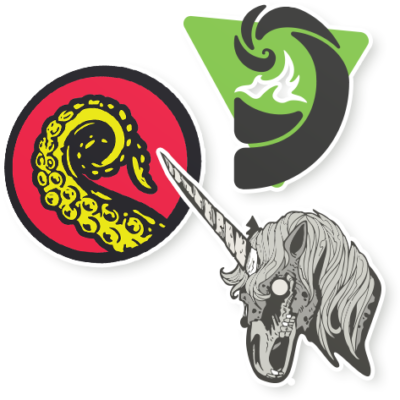 Our Drabble this week is “Squid Ink” by Abbie Hilton on our Drabblecast Forums. I thought it would be cool to get a tattoo with real squid ink. The long tentacles curled round and round my arm. The suction cups a vivid purple. My girlfriend doesn’t like my tattoo. She says there’s something wrong with me. She left this morning with red welts on her shoulders and a cut lip. I feel fine. I look at myself in my mirror. Open my lips, click my beak, and go off to find breakfast.